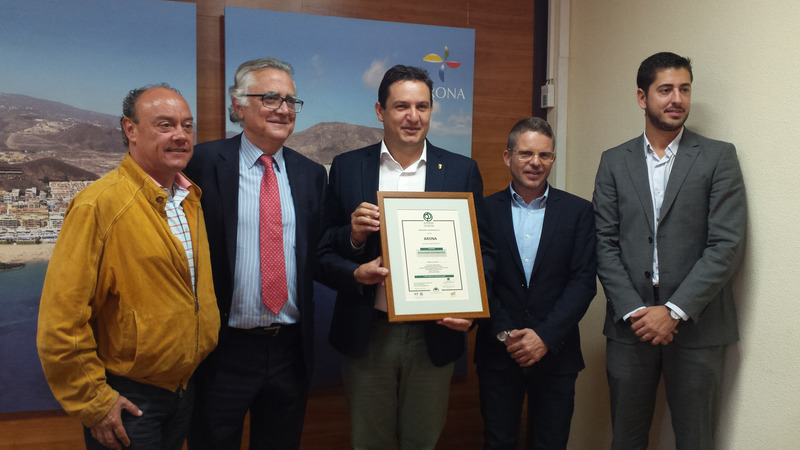 Arona, Tenerife is now officially the first municipality in the Canary Islands that obtains certification Biosphere tourist destination. It means that this town is a model to follow in terms of quality, environmental sustainability and social opinion of the Institute of Responsible Tourism, an agency linked to Unesco and the World Tourism Organization responsibility. 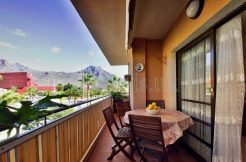 This distinction marks the strategic for the present and future development of this town, which has in Playa de Las Americas, Los Cristianos and Costa del Silencio main tourist areas lines. The roadmap includes urbanistic guidelines, training, innovation and business support, protection and cataloging of heritage and greater interaction between tourists and residents, in addition to the promotion of new technologies, waste management and urban mobility. The latest studies on tourism trends indicate that increasingly sustainable and environmentally conscious in choosing a place to spend the holidays, especially in central and northern Europe, traditional markets Archipelago and southern Tenerife is greater. Moreover, major tour operators now include Arona within its range of sustainable destinations for customers who demand this option. The certification, which will be submitted annually to an audit check, has a second part that will project the name of Arona abroad, with the holding of an international conference, covered by the Institute of Responsible Tourism and the World Tourism Organization in April 2017, and in which the Declaration of Arona on Sustainable Tourism and the first World Charter Inclusive and Accessible Tourism will be formulated. “Today we can say that Arona takes a giant step, linking its development and economy values and approved by major global forums such as Unesco, on future and just and sustainable development criteria”, said yesterday the mayor José Julián Mena, who he recalled that accessibility has been one of the “strengths” in assessing the candidacy of the municipality to the Biosphere certification. For his part, Councillor of Tourism, David Perez, said that the commitments made “marked a before and after” in the economic and social model, “with special emphasis on the tourism industry.” The mayor indicated that regions such as Catalonia and the Basque Country already working on the parameters of a sustainable model “having obtained certification or be in the process of doing.”. The president of the Institute of Responsible Tourism, Tomás Azcárate, stressed the “brilliant effort” of Arona and stressed the importance of the conversion to a sustainable tourism model in line with the 17 specific objectives on this matter collected by the United Nations in 2015. How the Biosphere certification obtained? The route for obtaining the distinction begins with a letter of commitment from local authorities where their commitment to sustainable tourism is specified. The second step is the diagnosis of the situation of the municipality through a report of all the departments related to tourism (a specific department that joined the Environment, Heritage, Culture, Energy, etc.). From there an action plan, which includes materials to be developed before opening a self-assessment process to determine what the situation is the locality is made. The next will be an external audit by the Institute of Responsible Tourism, which in case of detecting any deficiency, requires correct. Finally, a technical committee analyzes the proposal and the Board of the Institute approves and gives the seal.